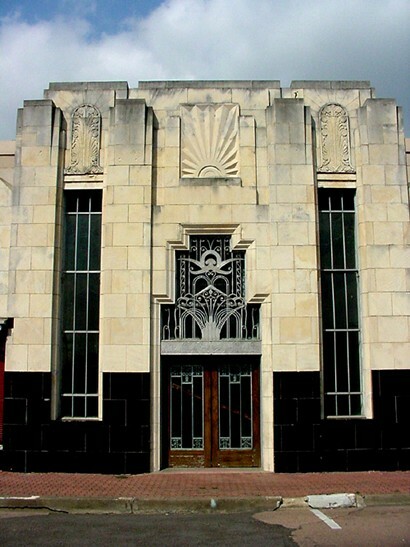 The Kyle Block in Beaumont, One of the Best Examples of Zig Zag Architecture in Texas . The name Kyle is fairly common in Texas. 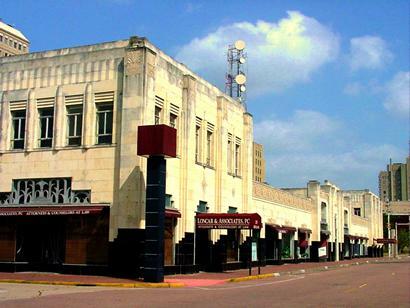 There is Kyle Field in College Station, the town of Kyle, Texas, and the former Kyle Hotel in Temple. The name Kyle here is that of a Beaumont businessman. His name is also linked to the Temple hotel for being that building's principal investor. 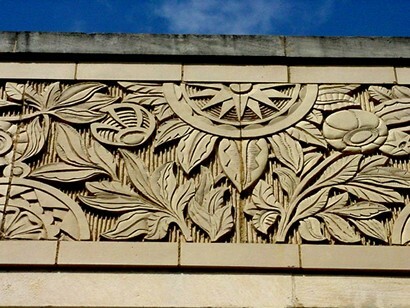 The Kyle Block is featured in the chapter Modernistic Modes of Design in Jay C. Henry's Architecture in Texas : 1895-1945 (See Amazon.com). Although no date is given and no cornerstone was found, Professor Henry compares the Kyle Block to the similar, but less ambitious Paramount Block in downtown Amarillo which was built in 1932. 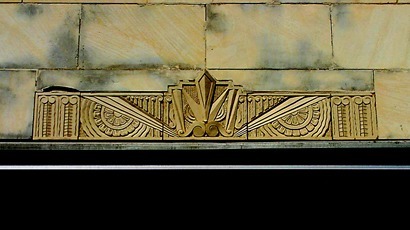 One of the Zig Zag designs. Henry describes the Kyle block as: "divided into five segments, with a two-story block on each corner, then a section of single-story shops, and finally another two-story increment in the center." The individual stores are mostly vacant due to the current lack of traffic in downtown Beaumont - all the better to view this interesting building.